Whether it's the curve of our Earth to the curves of the human form, there's something about them that is pleasing to the eye. They are easy to look at with no sharp edges to cut through a view, they allow the mind to wander. With no apparent end, a curved path can lead your immagination to the unknown. They are soft and gentle and give a calming effect, what better after a hard day than to sit and gaze a view with rolling hills or the flow of a stream meandering through the landscape. We are not all able to enjoy that image in our suburban setting, but it is possible to bring some of those elements into our own outdoor space. A curved lawn, patio or path will always help you to relax and unwind. They can be formally placed or wild and irregullar, all create an effect of peacefullness. There can be no misunderstanding with a straight line. It is what it is, direct formal and precise. With its orderly chararcteristic it can tame any situation, giving displine to what was once an unruly mess. With defined edges any layout using this formal approach will be enhanced. Many modern designs use this form, as our current way of living requires more structure and order. 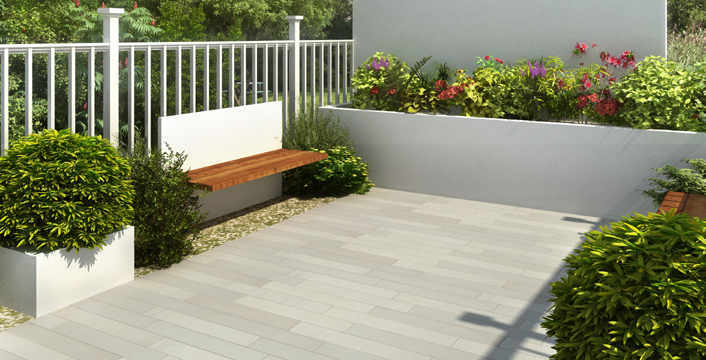 In turn this type of layout reduces maintainence , freeing up valuable leisure time to enjoy your outdoor space. A modern formal approach is quite often more economical to install and is normally a quicker process. The nature of this type of layout is less wastefull of space too, giving more usable area.